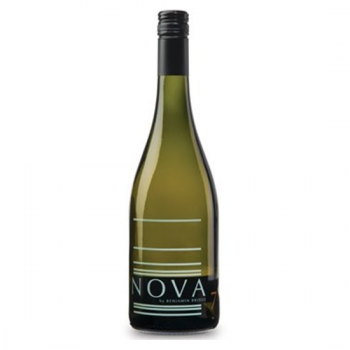 Nova 7 is a proprietary blend of signature aromatic whites, highlighting select Muscat grape varieties. Inspired by the European tradition of lightly sparkling, off-dry wines, Nova 7 is uniquely Nova Scotian, combining the region’s lively acidity with elegant aromatics. On the nose, a succession of floral notes – rose petals and water lilies – are interlaced with tropical hints of fresh papayas and litchis. On the palate, suggestions of ripe mango and fresh apricots are brightened by crisp and energetic undertones.